Roe was raised in Atlanta where he attended Brown High School. Influenced by the sounds of the late Buddy Holly, Roe developed a unique style that, combined with his All-American clean-cut image, made him a popular musical performer throughout the 1960s. His first break came when, like Bobby Vee, he was asked to stand in on a date which Buddy Holly had been booked for, and a year later Roe recorded and released "Sheila" on the tiny Judd Records label in Atlanta. The record failed to attract any interest, but within two years Roe had signed a recording contract with ABC-Paramount Records who re-recorded and re-released the song. Roe then had a Billboard #1 hit record in the United States and Australia in 1962 with the track. A build up of global sales of "Sheila" meant that the R.I.A.A. did not present the gold record until 1969. The following year scored a Top 10 hit with "Everybody", which reached #3, and the critically acclaimed "The Folk Singer" (#4 UK) written by Merle Kilgore was also popular. However in March 1963, the UK music magazine, NME reported that Roe and Chris Montez had been upstaged by both The Beatles and their fans on their 21 day long UK tour. The Beatles appeared in Northampton on 27 March 1963.. Montez commented "Who are these guys The Beatles? I try to keep up with the British scene, but I don't know their work." Following a more successful tour of the United Kingdom by his friend Roy Orbison, Roe toured there and then moved to England where he lived for several years. In 1965, he and Jerry Lee Lewis combined with Orbison to create an album for the Pickwick International label. During the 1960s, he had several more Top 40 hits, including 1966's #6 hit "Hooray for Hazel" (#2 Canada), and #8 hit "Sweet Pea" (#1 Canada). "Sweet Pea" was another self-penned success, with consistent sales over 16 weeks in the U.S. charts. Subsequent sales made this track his second million seller, with a belated gold disc award by R.I.A.A. in March 1969. In 1969, his song "Dizzy" went to No. 1 on the UK Singles Chart, #1 in Canada, as well as to Billboard's #1 in the U.S. This transatlantic chart-topper sold two million copies by mid-April 1969, giving Roe his third gold disc award. His final Top 10 single, the co-penned track with Freddy Weller, "Jam Up and Jelly Tight", was released in November 1969, and peaked at #8 in the U.S. with 14 weeks in the best-sellers. It also reached #5 in Canada. A big hit for the bubblegum devotees it sold a million copies by January 1970, generating another gold record awarded by the R.I.A.A. A resident of Beverly Hills, California, Roe is married to Josette Banzet, an actress from France who won a Best Supporting Actress Golden Globe Award for her performance in the 1976 television mini-series, Rich Man, Poor Man. In 1986, Roe was inducted into the Georgia Music Hall of Fame and his pioneering contribution to the genre has been recognized by the Rockabilly Hall of Fame. 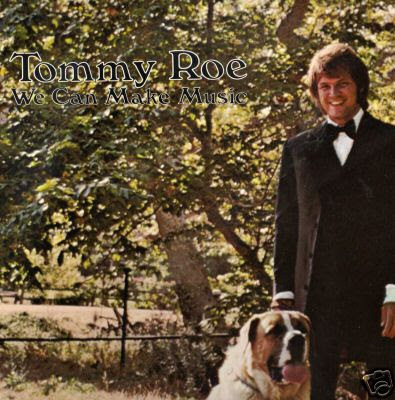 Although his style of music declined in popularity with the 1970s mass market, Roe maintained a following and continued to perform at a variety of concert venues, sometimes with 1960s nostalgia rock and rollers such as Freddy Cannon and Bobby Vee.